May 11, 2019 – 8AM – The Hippie Chick Half Marathon, Quarter Marathon, and 5K is returning in 2019 under the direction of the original event creator, Paula Harkin of Runwithpaula Events. This female-focused event is designed to celebrate how amazing women are! Hippie Chick is THE ORIGINAL all-women’s race! And new in 2019, we have added the Hippie All-Comers 5K so the whole family can enjoy a fun-filled, active event. What a perfect weekend to run and walk…MOTHER’S DAY WEEKEND!! Let’s celebrate together and build our community one mile at a time, hand in hand! Grab your mom, your sister, your friend, or your co-worker and register now! Hippie Chicks are the best! All Hippie Chick Races begin at Ron Tonkin Field in Hillsboro, OR. From the ballpark, runners and walkers will head west on the country roads of Washington County. The course winds through the beautiful countryside on very flat, tree-lined streets with amazing scenery. The iconic rural views will provide great sights throughout your run or walk. The route finishes back at Ron Tonkin Field with a delicious pancake breakfast, live music, and of course, a beer garden (ID required). Check out our route maps. Run With Paula is is honored to be back in 2019 and is dedicated to reviving the spirit and heart of Hippie Chick. BJ The Clown (for the kids and the adults)! Live Music with HIT MACHINE! · 6:00 am – Parking opens. Arrive early! Follow police instruction to find parking at stadium or Intel. • 8:15 am – New in 2019: Hippie All-Comers 5K! 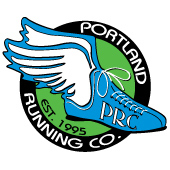 · 10:30 am – Awards – award winners in the Quarter Marathon and Half Marathon receive a commemorative Hippie Chick Mug! A: Yes! Our half marathon course is open for four hours! Q: Can I switch distances? A: Yes! You can switch between the half or the quarter marathon no charge up to one week before the race. You can go into your active.com account and make this change yourself for no charge. You can reduce to the 5K however fees will not be refunded. If you want to change from 5K to longer race fees apply. Q: Is there somewhere I can leave my stuff during the race? A: Yes! We offer free gear check for all participants. Gear check opens at 6:30am. It is highly recommended to check your gear by 7:30am to avoid lines. Q: Is there an official Hippie Chick Host Hotel? A: Yes! Courtyard by Marriott Hillsboro has amazing Hippie Chick packages that include breakfast and race shuttle. A: Yes! We just ask that you be mindful of other runners and walkers along the course. Q: How far is the Kids’ Run? A: 1/2 mile. You are welcome to run with your kiddo, there will also be a leader directing them during the 1/2 mile run. Q: What are the age group categories? Parking is free. Please remember parking is limited so carpool and please come early to avoid traffic lines and stress on race day. Vehicles will be parked in both the stadium lot and Intel. Be prepared to park where you are directed. We suggest arriving at the stadium by 6:30am. Hillsboro Firefighters Random Acts, Inc. is a 501(c)(3) tax exempt, charitable organization, modeled after a national program that was originated in Oakland, California by firefighters from that city. The model that Oakland developed has been adopted by many other organizations across North America and has touched the lives of thousands of people in need of assistance. This charity program has been created by dedicated firefighters and employees from the City of Hillsboro who truly believe that we can make a difference in our community in ways besides our emergency responses and daily interaction with the public.